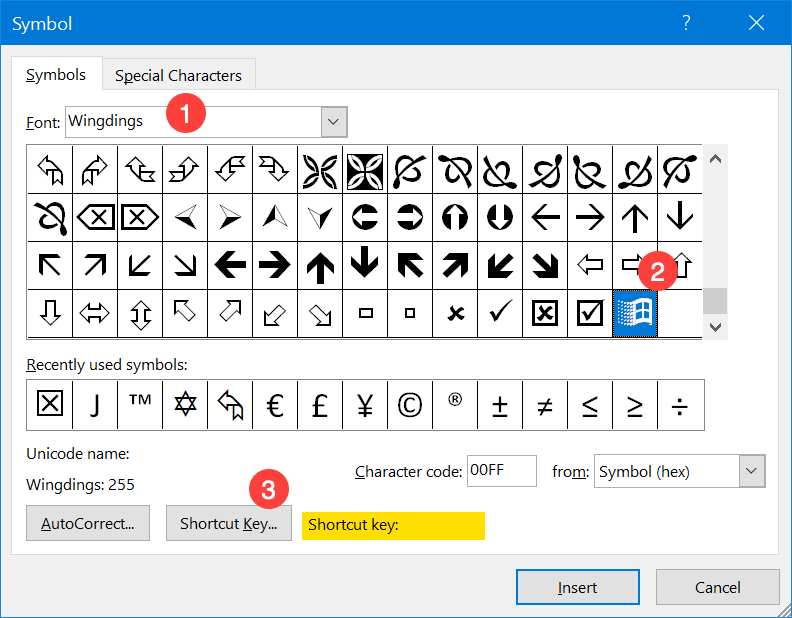 Home » Tech Tips » Windows 10 » How to Create Custom Shortcuts for Symbols in Microsoft Word? How to Create Custom Shortcuts for Symbols in Microsoft Word? Symbols and special characters are part of both formal and informal work when creating documents with Microsoft Word. Fortunately, Windows users have many ways to insert symbols on documents. Alt codes are one of the easiest ways but have restriction that you need a numeric keypad which is not part of most of the modern laptops. Even though you can use Character Map, it is difficult to navigate every time. Therefore, the easy way is to create custom shortcuts for symbols to use quickly when required. 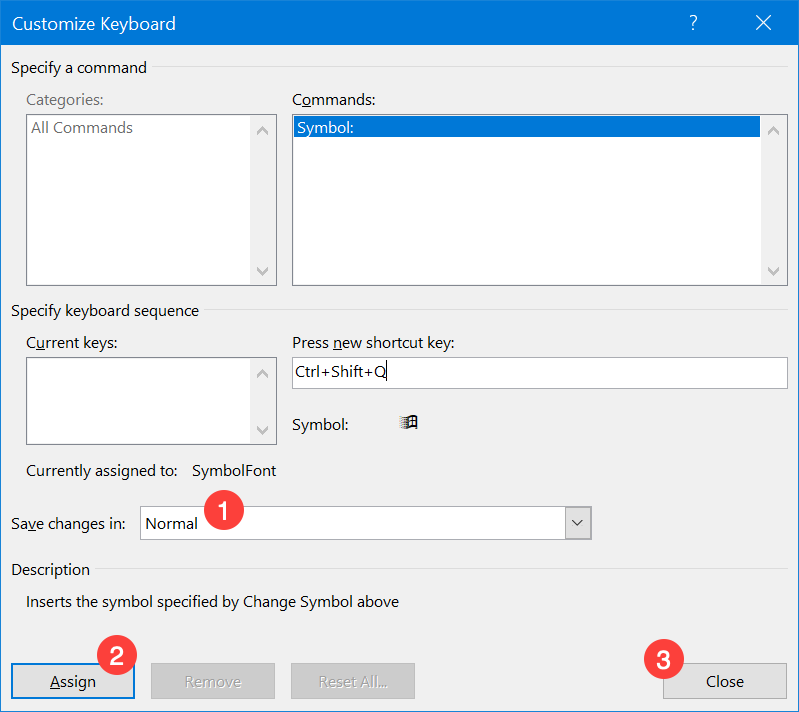 Related: Assign keyboard shortcuts for applications in Windows 10. Open a new or an existing document in Word. 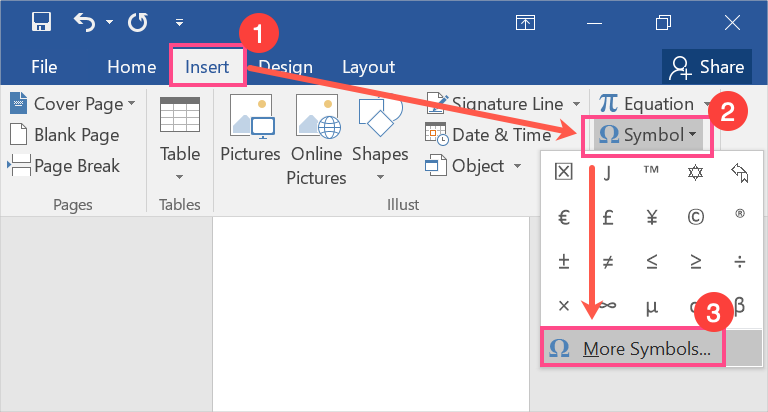 Navigate to ‘Insert > Symbol’ menu and click on the ‘More Symbols…’. First, select the ‘Font’ as Windings, Windings 2, or Windings 3. Select the symbol you like to use frequently on your document. Let us say, you want to insert ‘windows’ symbol. Scroll down in the list and select ‘windows’ symbol. As you can see, there is no ‘Shortcut key:’ assigned to this symbol. Click on the ‘Shortcut Key…’ button. You will see the ‘Customize Keyboard’ dialog box. Click on the text box under ‘Press new shortcut key’. Enter any combination of keys. For example, enter ‘Control + Shift + Q’. You can assign the shortcut either to all new Word documents or only to the current document. In the ‘Save changes in:’ dropdown choose ‘Normal’ for assigning the shortcut to all new Word documents. Normal is the template used for new document, so all new documents will have the shortcut valid. On the other hand, choose the current document name from the dropdown to assign the shortcut only to the current document. Let us select ‘Normal’ option and click on ‘Assign’ button to assign the entered shortcut to the selected symbol. Close all the open dialog boxes. Press ‘Control + N’ to open new Word document. 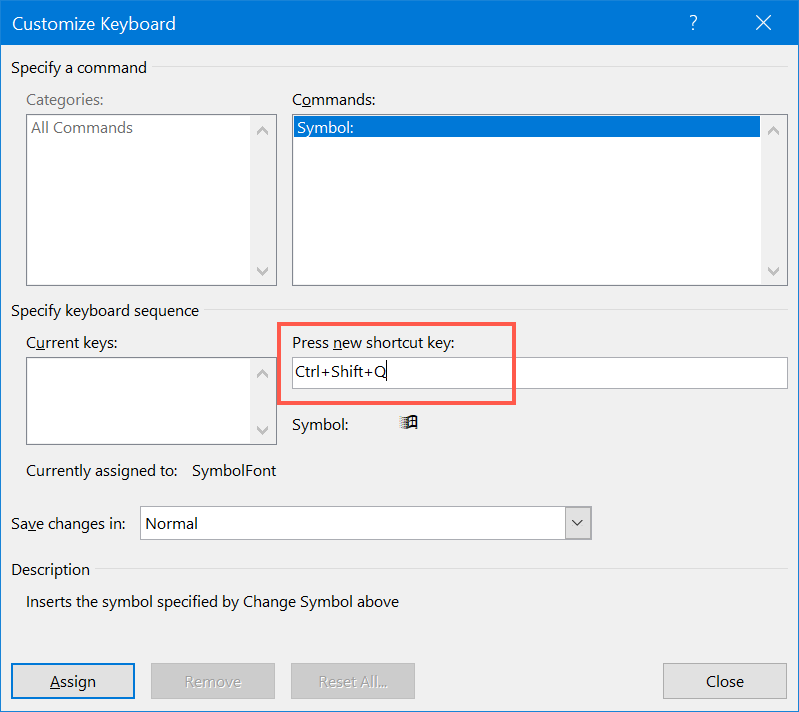 Enter ‘Control + Shift + Q’ keys to insert Windows symbol.